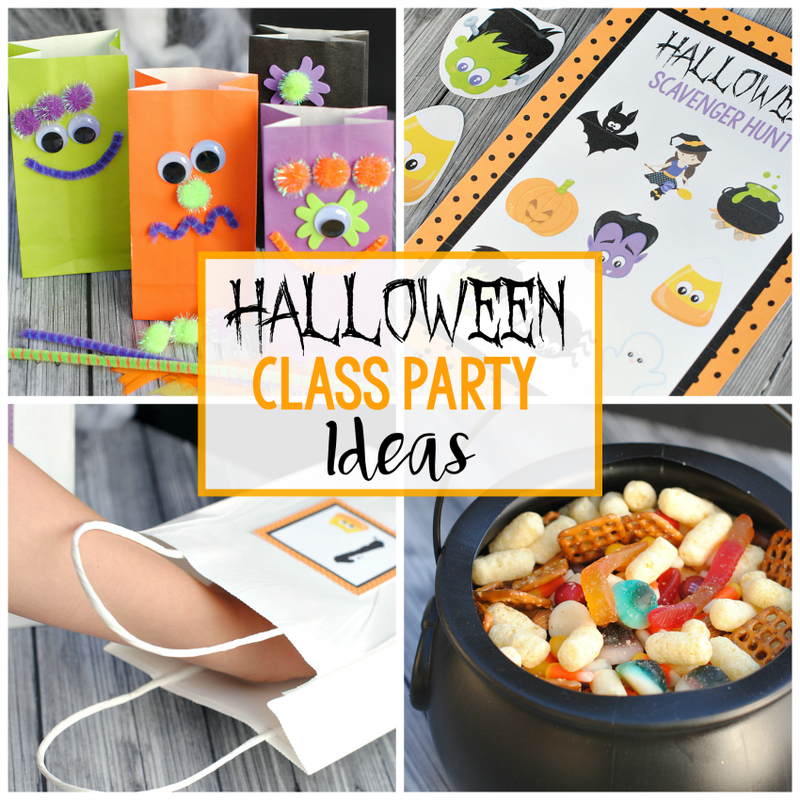 A Peek at the Fun: If you’re looking for easy and fun school Halloween party ideas, we have a class party all planned out for you! Games, crafts, and snack all ready for you to use! Halloween is one of our favorite holidays, we love everything about it and one of our favorite things is being in the school that day to see all the little cuties dressed up for Halloween and helping with class parties! 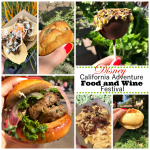 We also know just how busy this time of year can get and how crazy it can be for moms when you are scrambling to put together costumes and make treats and have everything ready for the big day. 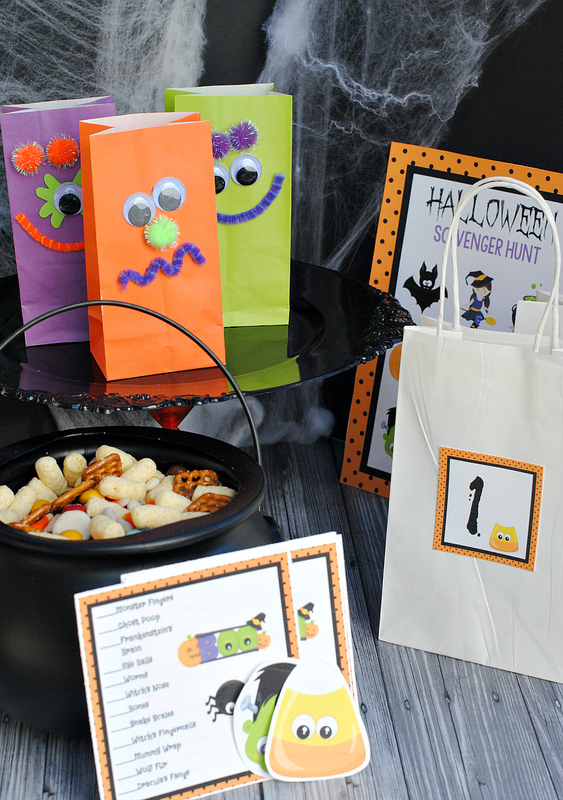 If you’re in charge of a Halloween party in the classroom as well, it can be hard! 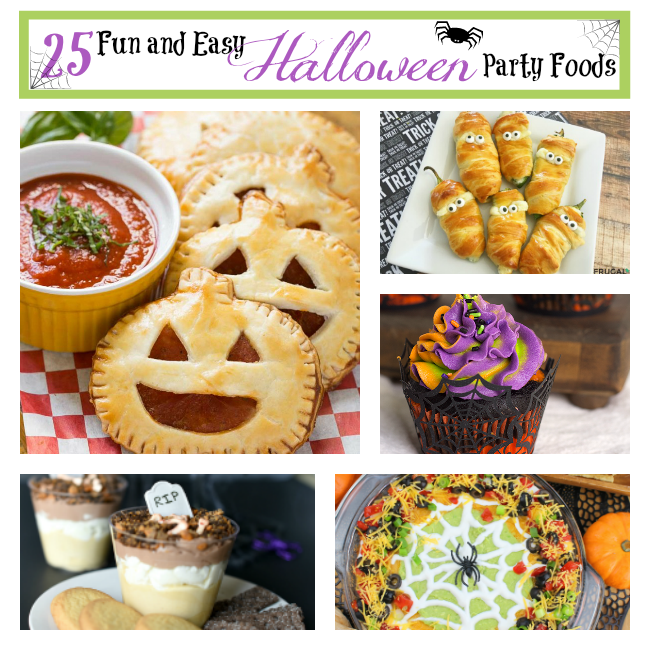 So we’ve put together some fun and easy school Halloween party ideas so that you can have that party all planned for you! 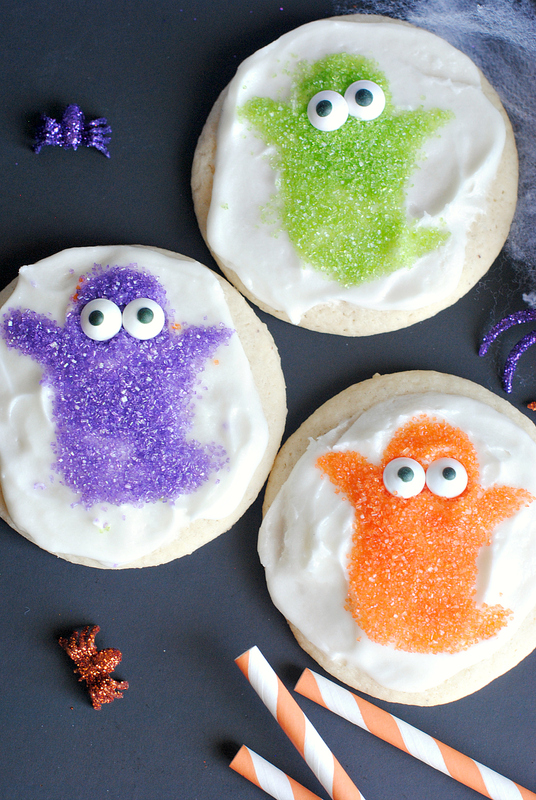 We’ve got a couple of fun Halloween class party game ideas, a super simple kid’s Halloween craft idea, and an easy Halloween snack for school. Guess what? We tried this out in a third-grade classroom last year and it was a huge hit! Usually, the school Halloween parties that we run are broken into small groups where the kids rotate through activities. So we’ve broken this class party down into 2 games, a craft, and a snack that they can do in small groups. 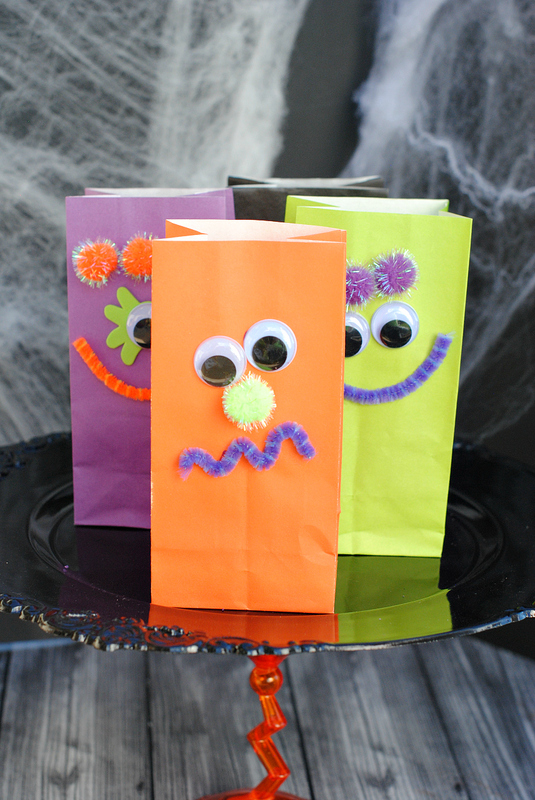 This “Bag of Tricks” Halloween game is so fun! Danetta’s sister (we told her we would give her a shout out) was where we got this idea, and we thought it was such a fun game! Halloween calls for a little gross, and a little mystery and this Halloween kids game has both. You probably have most everything you need in your pantry which makes it even better. 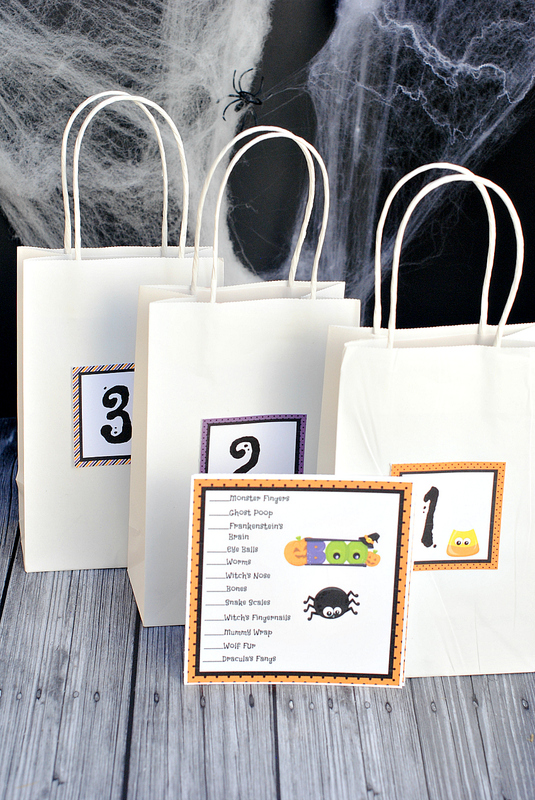 We have given you everything you need for this kids Halloween game (well, you’ll need the bags and the stuff to go inside)…the instructions, answer key, numbers for your bags, and the sheets for the kids to put their guesses on! Just print them off…and have fun! 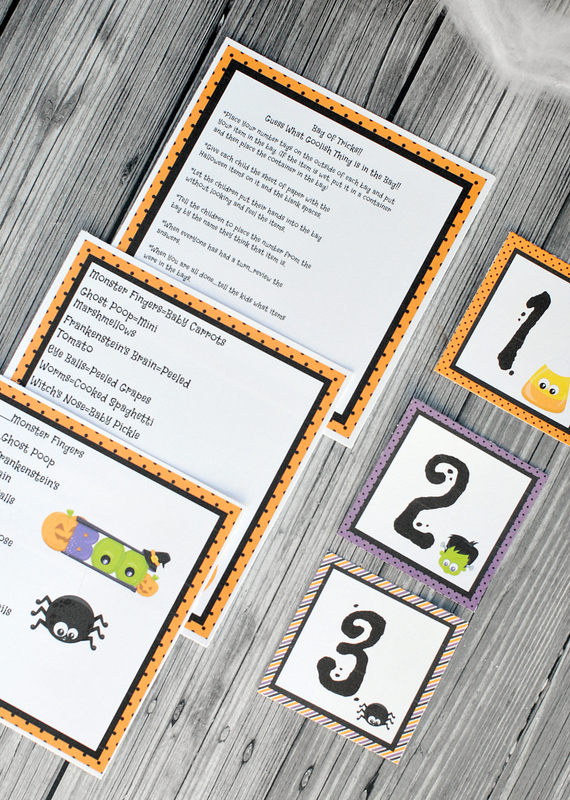 Here’s another fun game to play for Halloween, a Halloween Scavenger Hunt for the kids. And this one is super easy too! 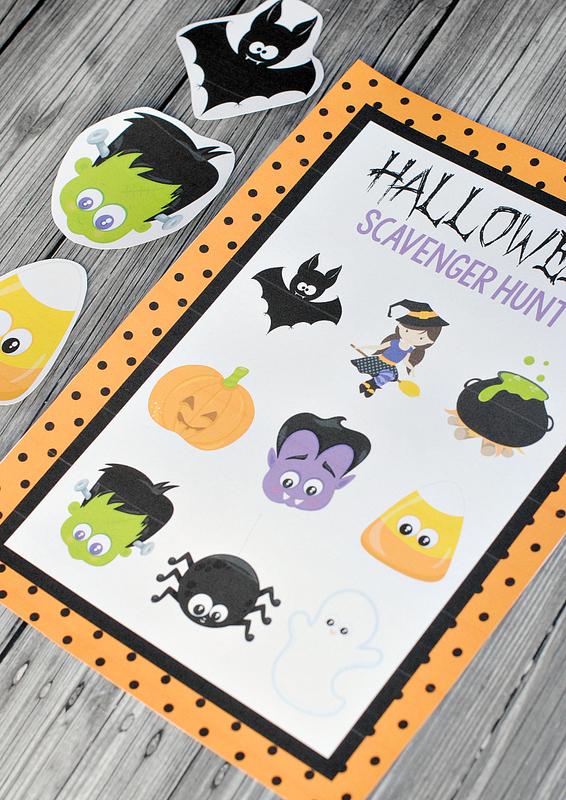 The idea here is that you will print out some Scavenger Hunt boards for the kids to use. Then we’ve got little cards with cute characters for you to cut out and hide either in the classroom or around the school or your house or wherever you are throwing the party. The kids will have to go around and find each of the Halloween characters and mark them off on their board. When they find them all, they win! 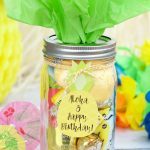 We always include a craft station at our parties, the kiddos love it and they get to be creative! Our number one rule with crafts is to keep it simple!! This helps you keep your sanity and the kids love simple and easy crafts. 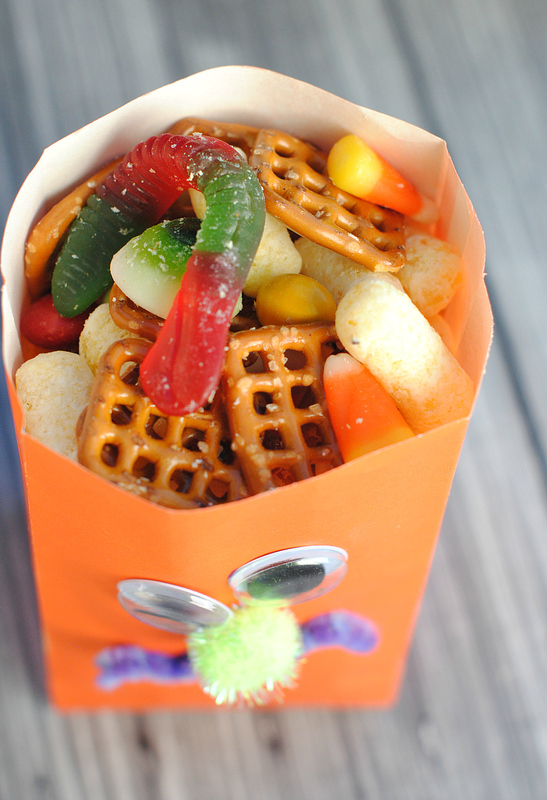 This craft is super fun and simple, decorating snack bags. 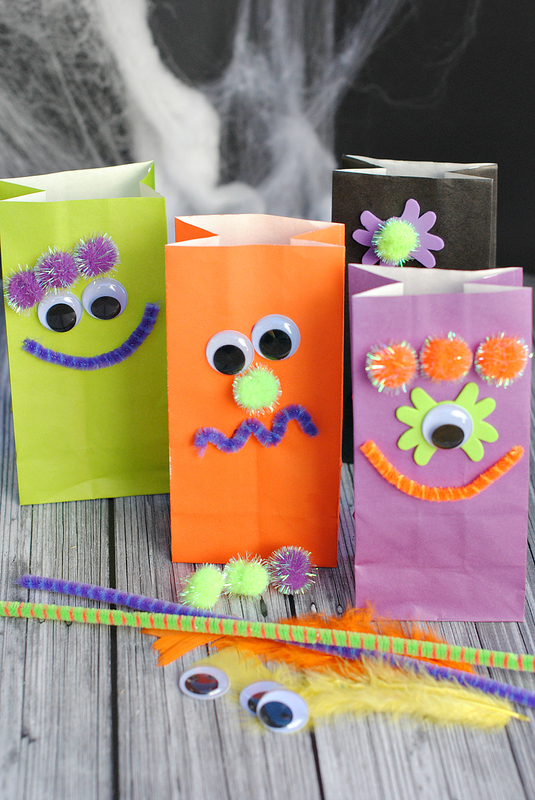 All you need is some basic craft supplies-pompoms, pipe cleaners, stickers, googly eyes, foam shapes, pattern paper, glue sticks, and of course colorful paper sacks. 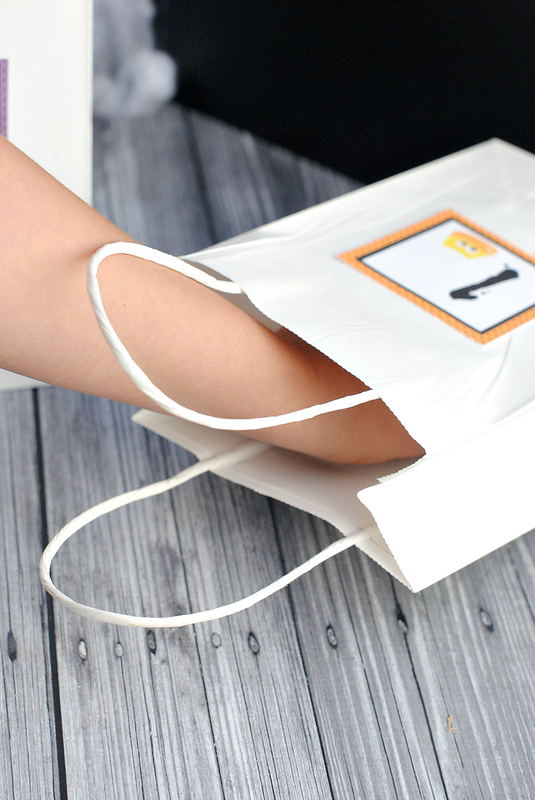 Let the kids get creative and design their own personal treat bag. They will love it!! 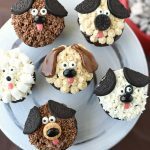 Aren’t these little guys cute? This couldn’t be simpler and it will keep the kids busy using their imaginations! What other ideas do you have? We’d love to hear! 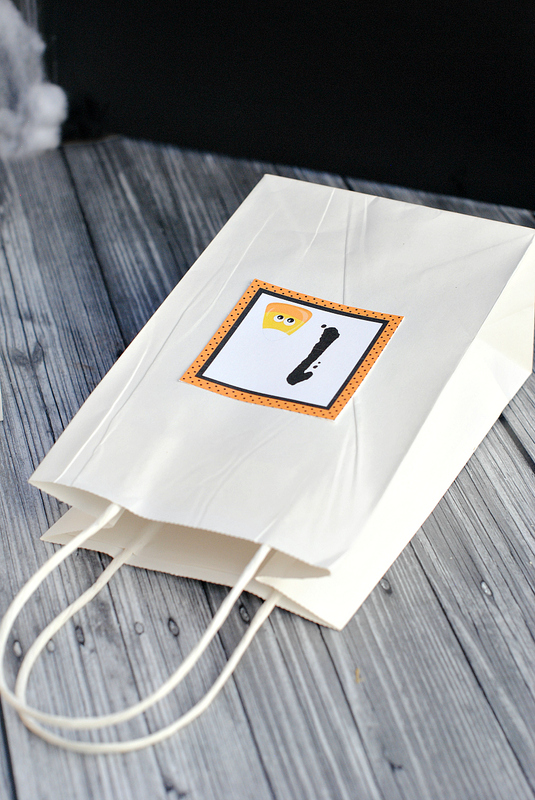 Now a fun idea would be to fill your little monster bags with the monster munch and read a story! 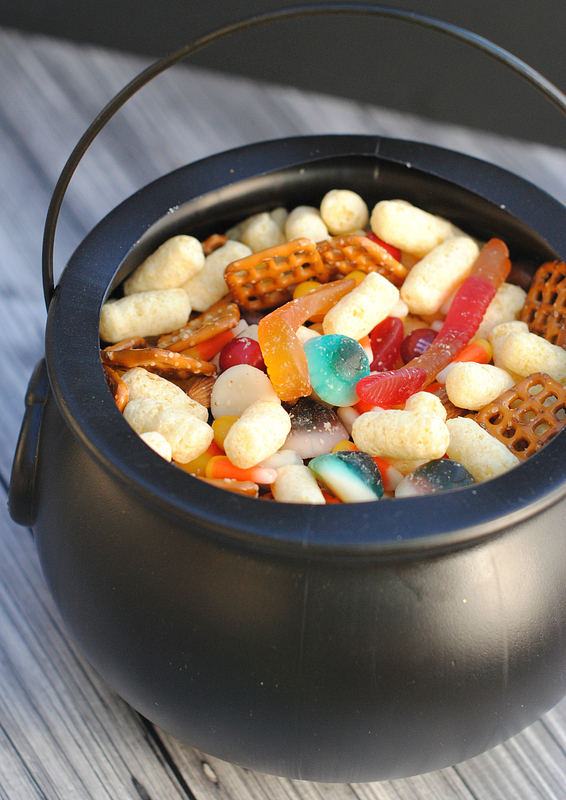 Have FUN using these Halloween school party ideas! Wow! Thank you so much! 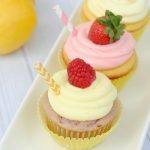 You are taking all the stress out of having to think of things for a party! I really love all your great ideas!